We are so glad you are considering Pie Shop for your special event. Nothing says love like pie. Whether whole pies by the slice, individual plated pies, or tassies to pass around, hosting with pie is sure to get your guests talking. We make over 100 different kinds of pie! We welcome you into the shop to try our seasonally changing menu. Pie makes people happy, so we can’t wait to help you plan your next event. Our most popular selection for weddings, whole pies offer ultimate flexibility. Serve them sliced at a seated dinner or as part of a dessert bar. Looking for something more personal than full pies? Mini pies are the perfect individual dessert. Approximately 4” in diameter. Tassies are miniature two-bite pies. They are perfect for pass-arounds or as small favors. Available in almost any flavor, tassies are each individually hand-made just like the larger pies. Tassies are about 1.5 inches in diameter. See some tassie pricing and flavors here. The true Southern treat! Place an order for your next outdoor event. 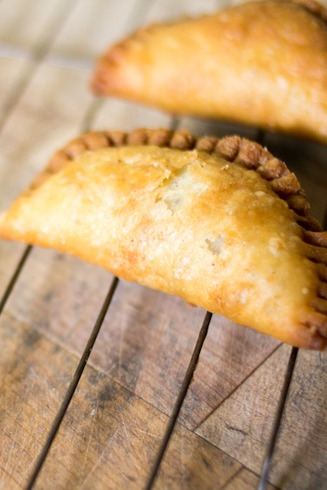 Our fried pies are just 3” wide, so be sure to get a variety of flavors. 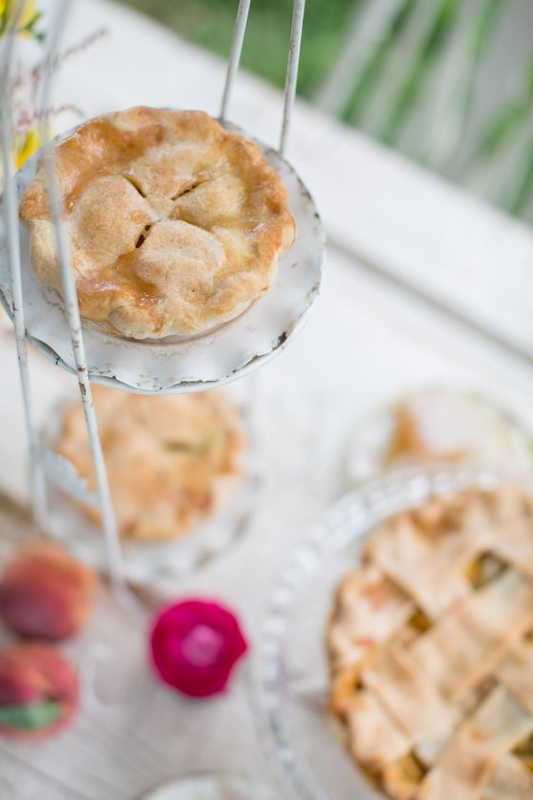 Handpies and galettes are rustic, free-form pies perfect for carrying along on your next picnic or night out at Chastain. Available in both sweet and savory flavors, these handheld treats make a beautiful display and are easy to travel with. We would love to consult with you on your event. Use this form to place an inquiry. We will respond as soon as possible with with a quote and answers to your questions. Would you like to receive information on? 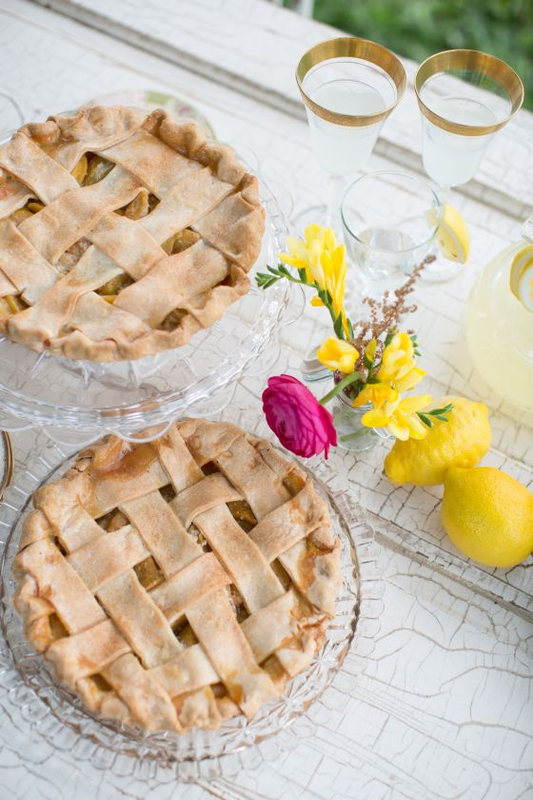 See how brides have incorporated Pie Shop pies on our wedding Pinterest page.